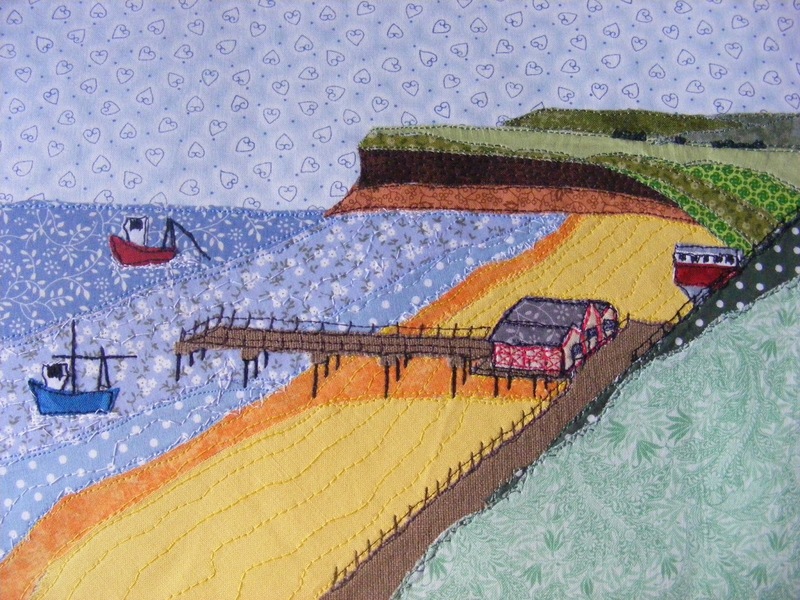 Since my last post, I have been concentrating on producing embroidered landscapes. After a holiday in the Lakes and Scotland, I was inspired by the fantastic scenery and my first picture, on my return, was the harbour at Tobermory on the Isle of Mull. 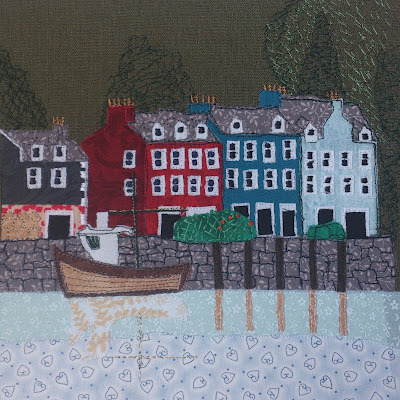 For those with kids, you will recognise it as Balamory! This one was fun to do but the windows took ages. I thought the reflections worked well and will use this again. 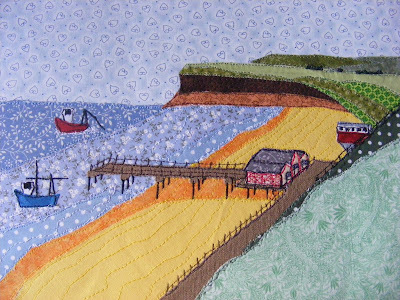 After Tobermory I received a commission to do a view of Saltburn pier, Huntscliff and the funicular railway. This was to remind the customer of happy days in childhood so the responsibility was huge. I have so many ideas for other scenes and I'm really looking forward to creating more.